1. Cut the top of shallots and peel the papery layer, I like to cut my shallot into rings if I find long shallot (which, in my opinion to be superior in flavor), cutting it into rings make very attractive golden fried rings that gives such good visual. 2. Slice shallot evenly but not too thinly, 2 mm in thickness is ideal in my opinion, slicing it too thin can cause burning or uneven cooking too fast too easily. 3. 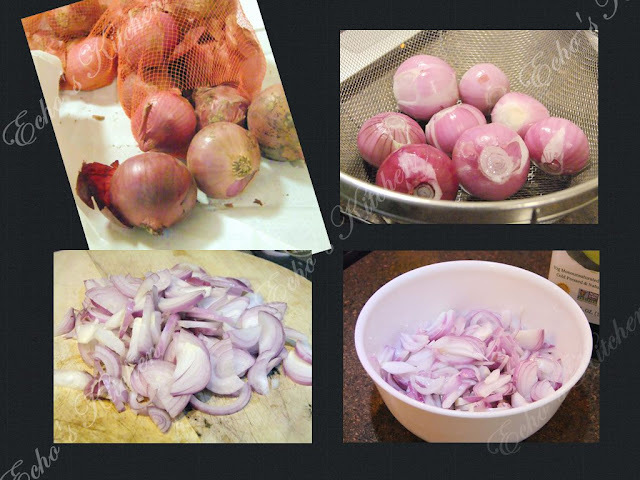 Place sliced shallots in a microwavable/ceramic bowl, add oil and lightly turn and fold until all slices are coated with oil. 4. Microwave it for 3 minutes, take out, give a quick stir, add 2 more minutes, stir it again and add another 1 minute. 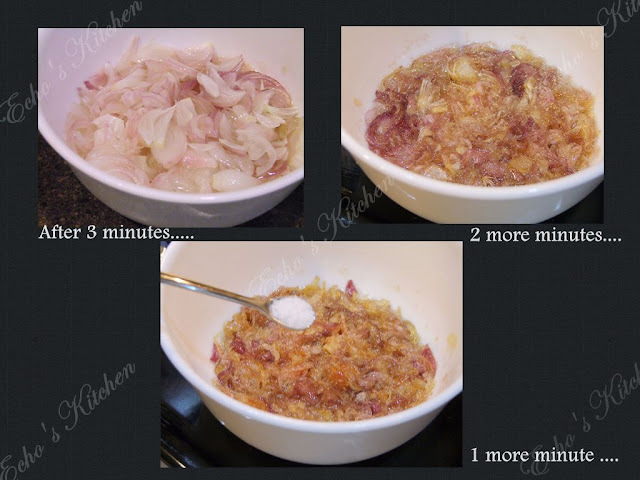 Depending on the wattage of microwave, add 45 seconds each time until the shallot turn light brown in color. (mine is 1000 watts and took me total 7.5 minutes to make the shallots crispy). 5. Add 1/4 tsp of salt and stir it in, the remaining heat from oil will continue cooking until the shallot become crunchy. Thus it is important to take the fried shallot out before it reaches desired color. The salt will bring out sweetness in shallot and doubled as preservation. 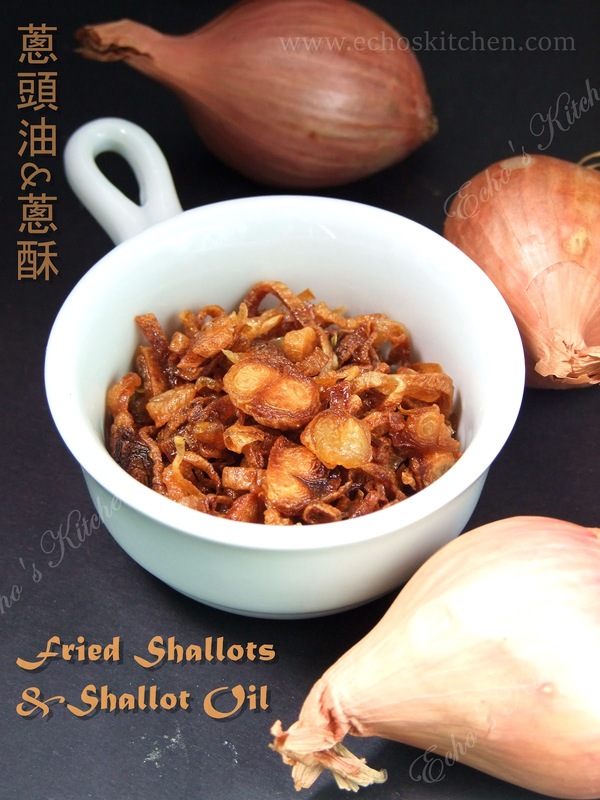 Try finish using the shallot oil within a week.